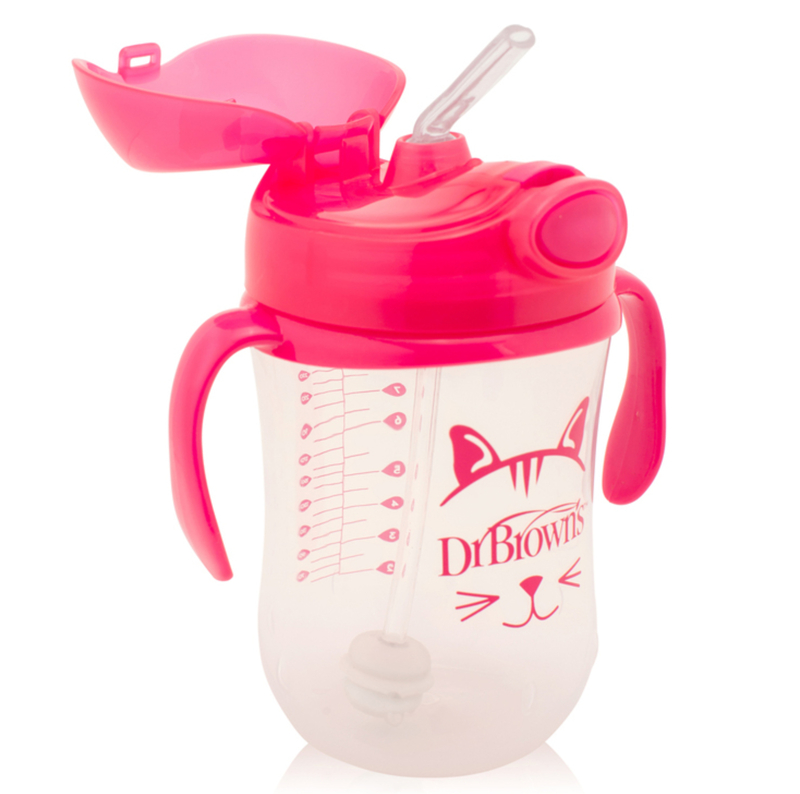 Designed to help baby transition from bottle to cup, this spill-proof straw cup features a soft, flexible straw that allows your baby to drink while holding this cup at any angle. 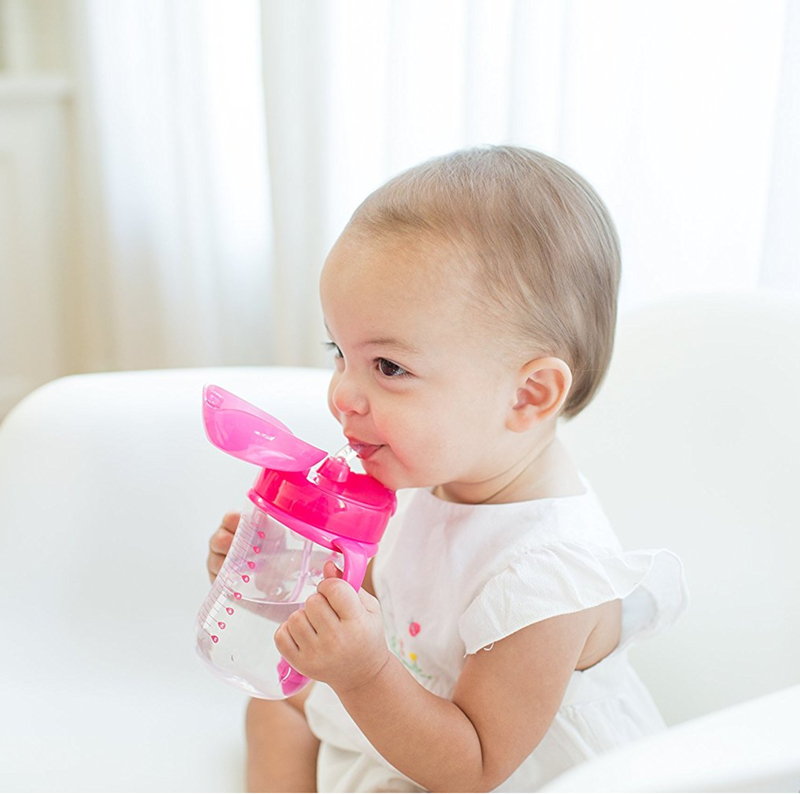 Designed with handles that are easy for little hands to hold, the cup features an attached lid that stays open when baby drinks and keeps straw clean when not in use. 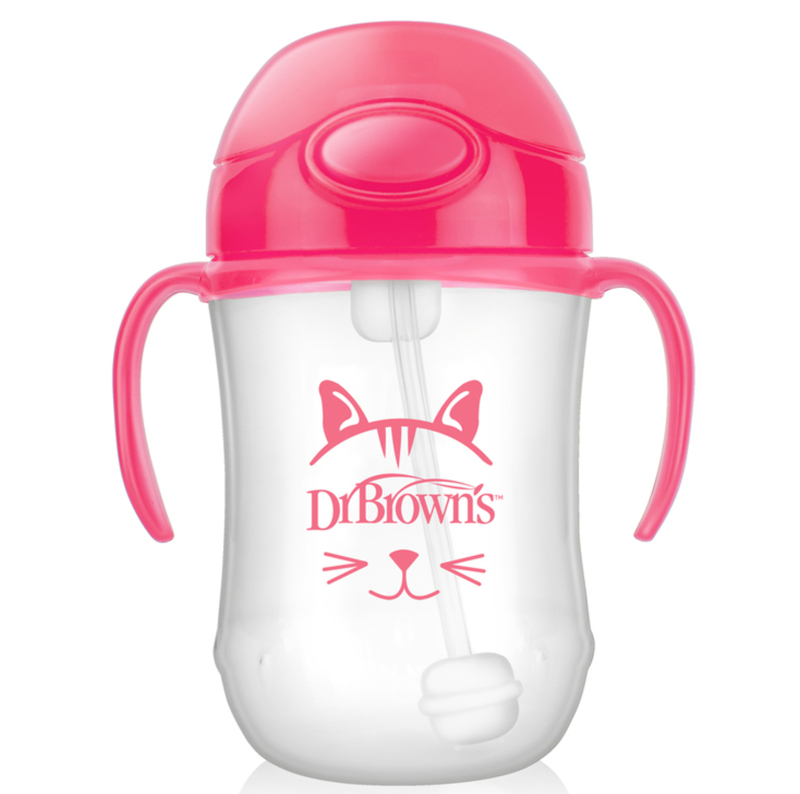 Perfect for travel, Baby’s First Straw Cup is easy to use, easy to clean, dishwasher safe and BPA free. 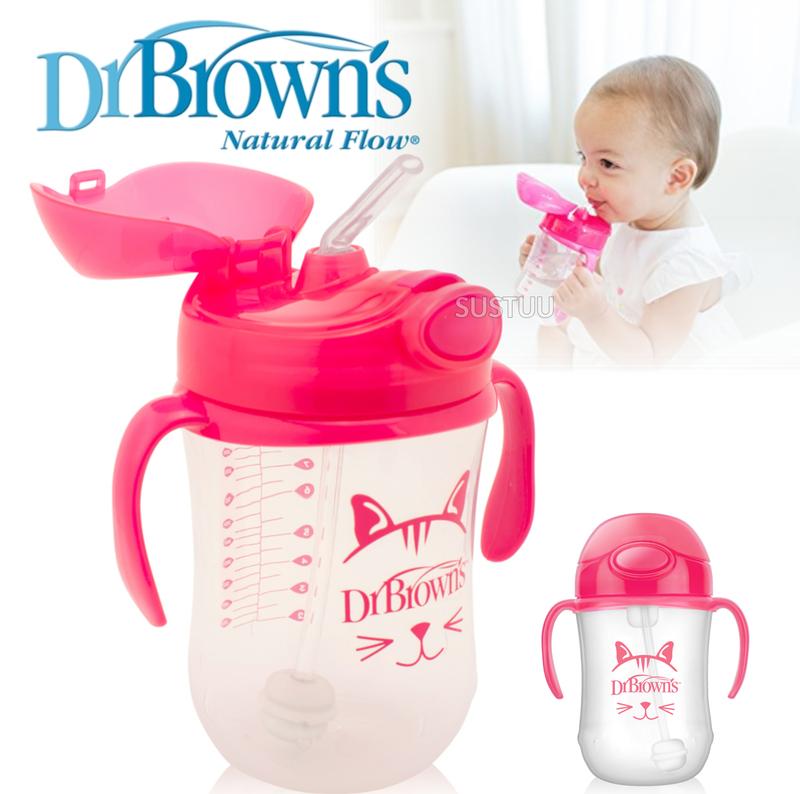 It also includes a straw cleaning brush.